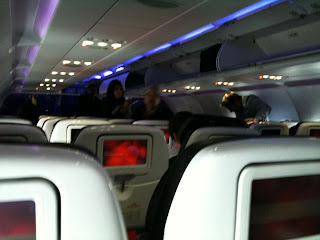 The Virgin love in continues with my Virgin America flight from LAX to Dallas Fort Worth. I currently rate this airline as the best in the USA, slightly ahead of JetBlue. 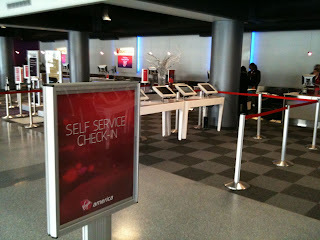 I wish Australia's Virgin Blue was as good as Virgin America. The Aussie version started as a discount carrier and is evolving into Australias' second mainline carrier so its history is very different. 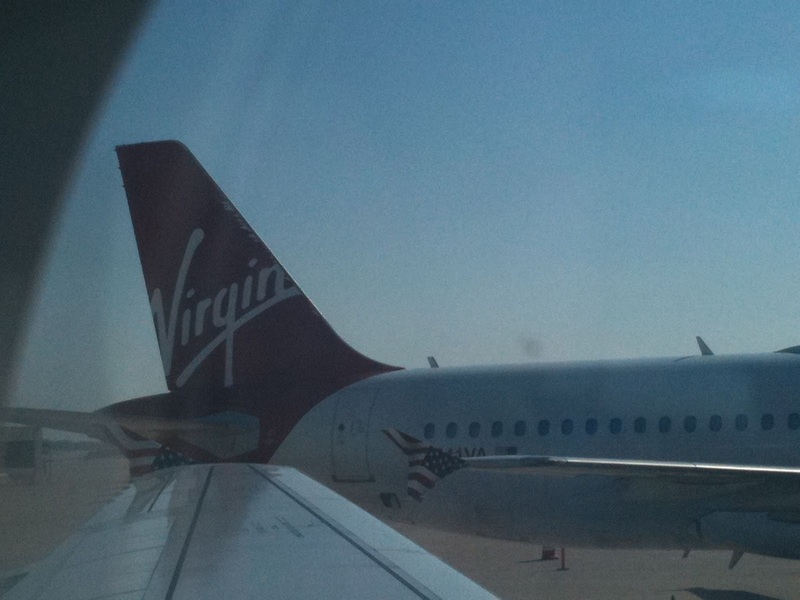 The star difference hits you right from the start with Virgin American. For example, how many other airlines have "We are Family" playing at Check in? Made it from Check in to gate in under 8 minutes which is a miracle at LAX and that included a few seconds to enjoy the check in atmosphere. I got Priority entry to the express clearance line and the few people ahead of me were very efficient. Was a little concerned that the woman in front of me placed a bottle of water and a bottle of perfume on her tray and they both went through unchallenged (the USA is supposed to have a very strict no liquids rule and I have seen other people lose their precious water bottles at security). The name of our plane today was: "My Other Ride is a Spaceship" There are not many domestic airlines in the world that have mood lighting in their cabins. Its such a great look coming aboard. I was in Main Cabin Select (Virgin America's Premium economy section). Last time I flew them there was a bottle of water waiting in my seat. Not this time. Inconsistency? Lucky last time? Phased out? One of life's mysteries. Internet access was provided for a fee by Gogo and I signed up for a month pass. Hope i get to use it at least twice more- out of my next ten US domestic flights- so I have got my money's worth! The trouble is with most of the other airlines, access to on board wireless is very hit and miss. It was fun skyping and emailing from the plane. 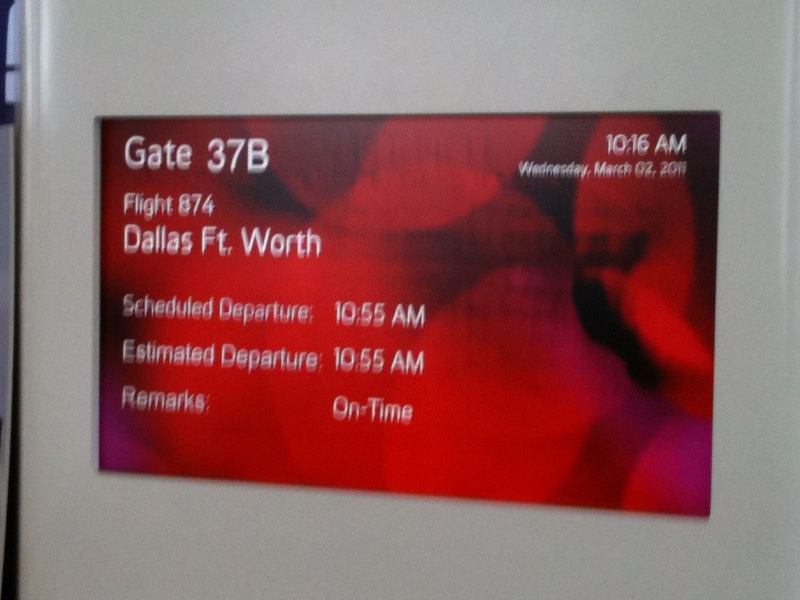 Plane left right on time and arrived into Dallas almost half an hour early. 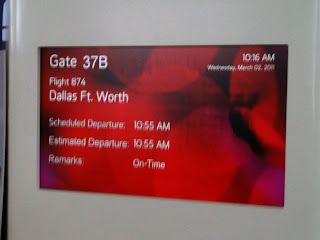 Lots of bumps into Dallas which had the woman behind me hyperventilating a little. I do agree with you that is best airline for how many destination this airline are producing cheap flights for the benefit of passengers. What I have to Know Around Penny Public auction Sites?